In an ongoing series of reviews, I am reviewing Peter Liston’s AGC interview. Peter Liston is a self-professed professional machine player. Although, he limits himself to progressive machines only, whether they be video poker machines or slot machines. On November 21, 2018, nearly 2 months ago, Steve and Matt Bourie from the American Casino Guide interviewed Peter Liston on their popular YouTube Channel called, naturally enough, American Casino Guide. Their interview with Peter Liston in their YouTube video How to Win at Slots – Interview With a Professional Slot Machine Player is 18 minutes long. As the hosts state right at the beginning, conducting a video interview of someone other than each other is not typical for them. However, for Peter Liston, they made an exception. Interview topics include getting started, machines he plays, where exploitable machines are, and bankroll needed for success. This was then followed by lots of detailed questions about his business. The interview begins with a scene of Peter Liston in his office via Skype. Behind him is a bookcase with multiple shelves of books, videotapes, DVDs, CDs, and audio cassette tapes. To the right is a view of a few tall buildings, probably in Melbourne, Australia. To the left is a stack of blank CD/DVDs, three-ring binders, and a plastic storage container. I paused on these initial scene because I wanted to get a good look at the contents of that bookcase. Honestly, I can learn so much about someone by looking at their bookcases. The image resolution is slightly too low to make out the fine print, such as most book titles from their spines, but there’s still useful information to see. These are old recordings taken at different times, maybe a dozen of them. They are possibly from speaking engagements when VHS was still in use. I am uncertain what these could possibly be. Sometimes is it helpful to consider what something is not, but again nothing comes to mind that makes a lot of sense. They are not software, not speaking engagement recordings, not courses. They might possibly be movies with a gambling theme. These are likely more recent recordings of his speaking engagements. Together, there are about 20 audio cassettes and 10 CDs. The shelving labels are too small to read, but identifying any book per section would tell us that’s sections general topic. Book section 4: I can’t make out any specific titles. Books are quite narrow. Given the variety of outdated media storage on Peter Liston’s bookcase, it’s fair to assume some books were published some time ago. I recognize a few of them. What I find interesting is what is missing. For example, not one of them is the host’s book. Nor my book, from what I can tell. With that scene set for Peter Liston, I should also mention the scene of the hosts. Steve and Matt Bourie are sitting side-by-side with a large microphone in front of them. They have a green screen behind them, showing the interior of a casino with people playing slot machines in the background. Upon request, Peter Liston provides some of his background as an accountant and teacher. He started thinking about gambling when a casino opened near him in 1994, presumably in Australia and likely in the city of Melbourne. He was intrigued by machines with progressive jackpots. He then says he went home and thought about progressive slot machines for 3 months. At the end of that time, he says he developed a formula for determining when he’d have a winning advantage when playing progressive machines. He says he calculates how high the jackpot needs to go before he has the advantage. He says he has an advantage when the expected losses on the machine are less than the jackpot he is playing for. He points out that playing with such advantages are the only way to win in the long term. I encourage you to re-read the last two paragraphs. Why? Because that’s all he’s going to share about how to win. It’s his pitch, his carefully crafted statement about what he provides as a service. Oh, and in case you were wondering, he currently charges $9,900 to tell you any more details. So, next up, Matt and Steve Bourie start asking questions. During the prior introduction, they mentioned how skeptical they were about winning at playing slot machines given how many videos they’ve made about how that’s not possible. Except, of course, under certain careful circumstances they don’t get into. As the hosts ask questions, the looks on their faces are quite endearing. They look very skeptical, yes, but are trying so hard to be polite. I’m not trying to be snide about this. They look sincere. But, that just raises the question: What is their motivation for having this interview? Maybe they understood what kind of response interviewing Peter Liston would get. Over the years, he’s interviewed several times by others. So, maybe they know. Maybe they know they’d be getting one of their most popular video ever from this interview. Why else change their format to accommodate it? Honestly, interviews are hard. It takes a certain skill for a successful interview, which takes practice. It is a practice they don’t have perhaps enough of. So why take the risk to potentially alienate their audience by doing something so different? I have to say my best guess is they knew how popular it would be. Further, they were strategic about releasing it. Very strategic. Here’s what is going on. The American Casino Guide releases a new YouTube video about every month or so. Every year, the American Casino Guide also publishes the next annual edition of their hugely popular book. I don’t know when they recorded this Skype interview with Peter Liston. But, can you guess when they released it compared to when the book became available? Yes, that’s right. They released within a few days of each other. Somehow, ACG knew how popular this video would be. I don’t know specifically how they could have known that, but decades of experience at this sort of business is likely the fundamental reason. So, let’s go over why they’d release this video alongside their annual, oh-so-important book launch. Let’s talk statistics. If you look through most videos on the American Casino Guide, sorted by most recently released, you’ll see most videos have 5,000 views after a few weeks. Sometimes, it’s less than that after 6 months. Occasionally, it’s a lot more. This video is one of their top performers. At just under 2 months, it currently has 64,000 views, 707 likes, 126 un-likes, and 257 comments. That’s very good for them. They’ve done better than that, even a lot better, but rarely. But, what was Peter Liston’s motivation for agreeing to the interview? As far as I can tell, his last interview was over 2 years ago. And, frankly, I haven’t a clue why. There’s no book launch to support. There’s no special program available. So, why? Well, there are always the usual business reasons. Sometime in the last year, he raised the cost of his service from $7,900 to $9,900. That’s a 25% increase, which is a lot. There are serious business consequences when making such a huge cost increase. For instance, whatever its prior level, there is no doubt business decreased significantly because of it. He may be trying to recover by promoting his business with this interview. But, he does mention another product besides his book, Million Dollar Slots, which is his course. That’s an individualized training course available on his website at Poker Machine School. By the end of the interview, after a series of interesting questions, Steve and Matt Bourie appeared convinced of the sincerely and legitimacy of Peter Liston. I have to say that I completely agree with them. From what Mr. Liston discussed and based on my own experiences started with my Professor Slots brand, there were no red flags. His logic is sound. His business practices, including his business ethics, are solid. Further, his early discovery process matches what I am going through now. I also don’t see us as competitors as his business centers on progressive machines in the world, whether they be slots or poker machines. My business centers on slot machines in the U.S. only. I like him. I like what he is doing. And, that he has been successful in what he does means it is possible for me to be successful at what I am attempting. I’m fine with being a slots leader this last couple of years, but being the trailblazer does make you wonder about eventual success. Or, you know, if there’s a hard-to-see cliff ahead to fall off. All hail the Slotz King, Peter Liston! Slots is the new blackjack. As part of an ongoing review series, I am reviewing Peter Liston in his appearance in a YouTube video interview by the American Casino Guide. Peter, the self-proclaimed Slotz King, is a professional gambler who plays winning progressive machines, whether slots or video poker and teaches others worldwide to do so with his successful business. If this review of Peter Liston’s interview on the American Casino Guide YouTube channel results in a lot of interest from you, my audience, then I’ll provide more reviews of his interviews elsewhere. Maybe he’ll accidentally divulge more useful information! On March 4, 2019, Steve and Matt Bourie from America Casino Guide provided a follow-up YouTube video regarding Peter Liston. They discuss Peter Liston with George (a lawyer from southern California) who went to Melbourne, Australia to meet him in January. He didn’t buy Peter’s course and therefore didn’t know Peter’s method. Further, Steve and Matt gave their own opinions which they had not done in the first video. Off-camera conversations, they said, indicated he seemed to know what he was talking about. However, when Steve asked for promotional materials, such as photos of winning large jackpots, everything Peter provided was years old. 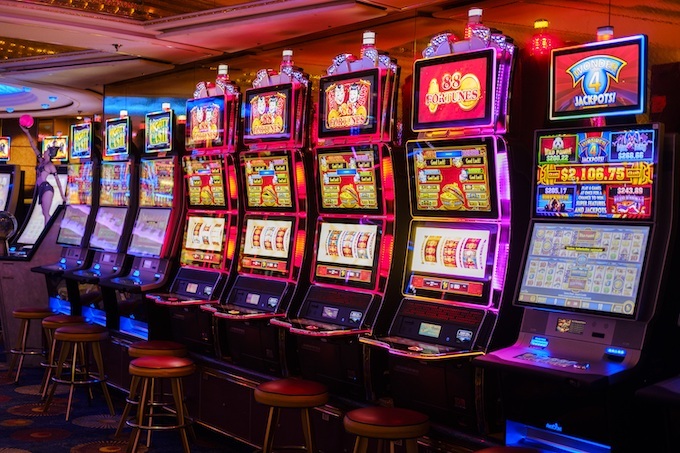 Previous: Professor Slots 2019 – What to Expect in the Coming Year – For Professor Slots 2019, my plan is to keep guiding slot machine casino gamblers to success. I’ll continue what works while improving as I go, such as educational articles, state-by-state blog series, podcasting, and a YouTube channel. I’ll have new stuff as well, like adding more reviews. It’s really all about being helpful. Next: What if You Won a 60-Thousand-Dollar Slot Machine Jackpot? – Do you want to win a 60-thousand-dollar slot machine jackpot? Are you sure? What’s your plan in case you do win? From making the bet to income tax preparation, I’ll go over everything you’ll need to be prepared for. Like, how many $100 bills can you carry without being obvious? And, is there a legal way to not pay income taxes?.